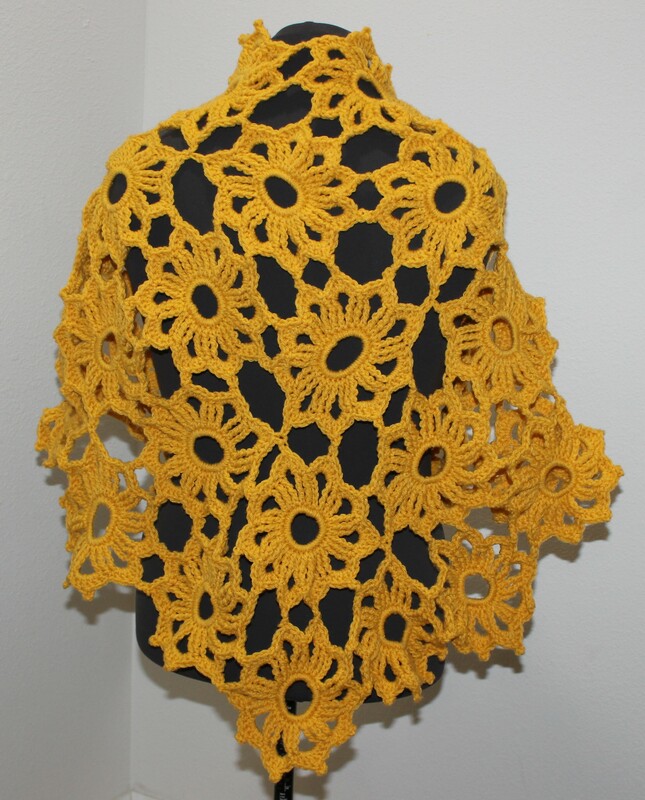 Just decided to list this shawl. It’s made by crocheting each individual motif and attaching as you go along to those who might be curious. None like it on Etsy. Not sure if that’s a good thing?